The handle of this white ceramic blade paring knife of the Pays range is decorated by the American colours, to be more precise the Stars& Stripes. 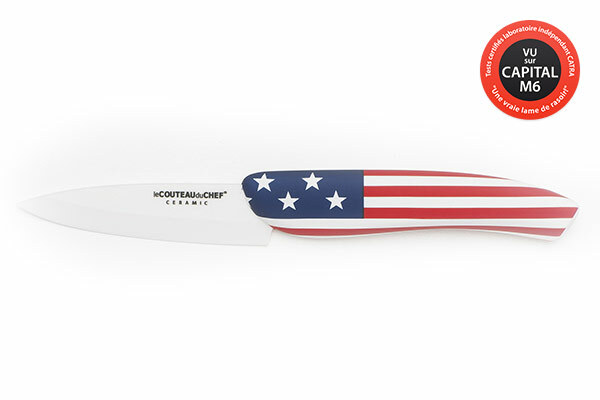 This uncommon, colourful and dynamic design offers an unusual decoration to this high-end blade, which catches the eye in addition to be very efficient. 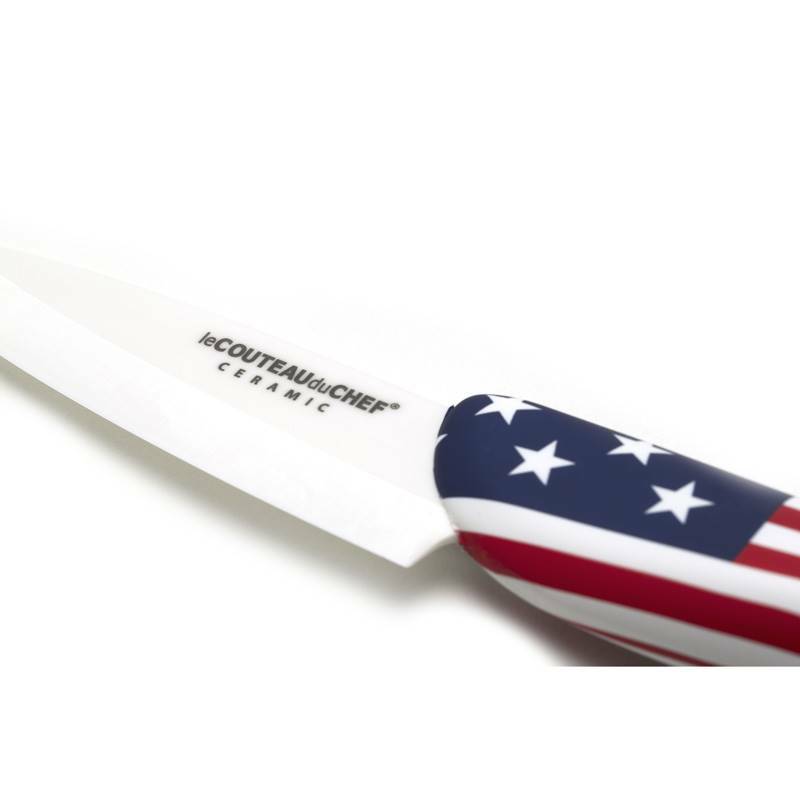 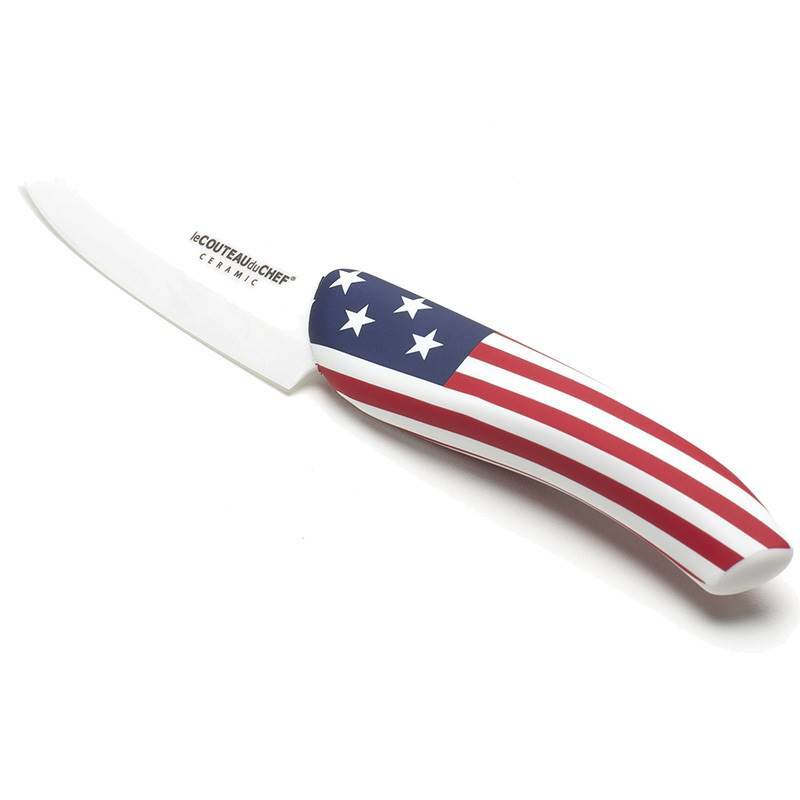 Made in a very high quality ceramic with high zirconium oxide content, the blade of the US Flag paring knife has an outstanding hardness. 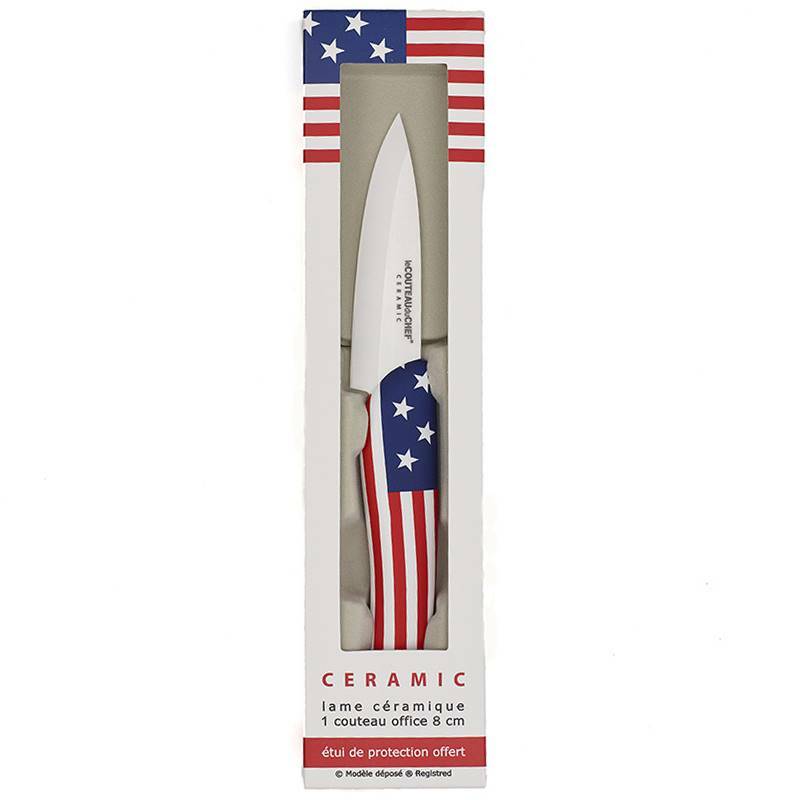 The white ceramic knives are a lightweight joy to handle, ensures an exceptional cutting edge which is of impressive durability and which does hardly ever need to be sharpened.